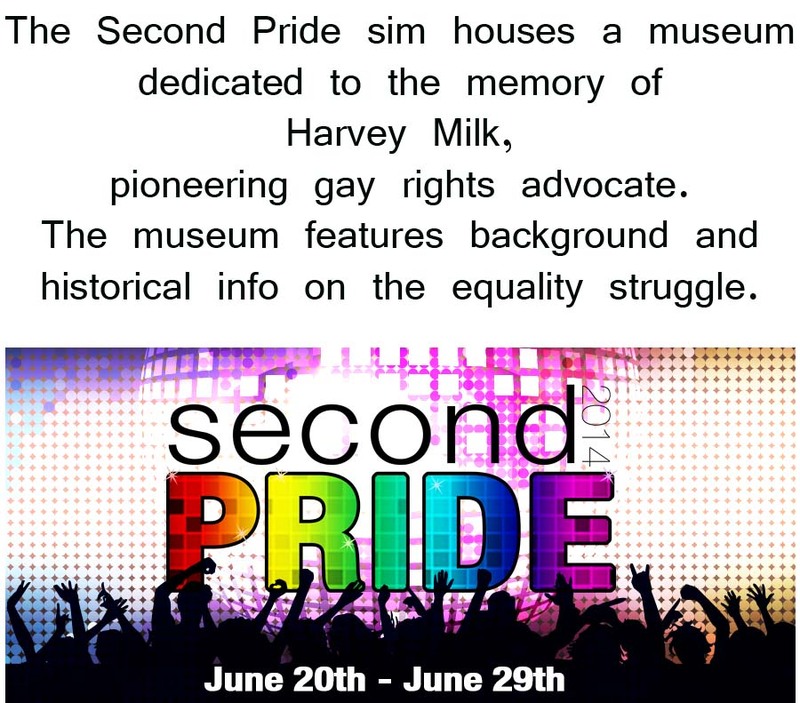 The Second Pride Festival is coming – for more details please go to our website. 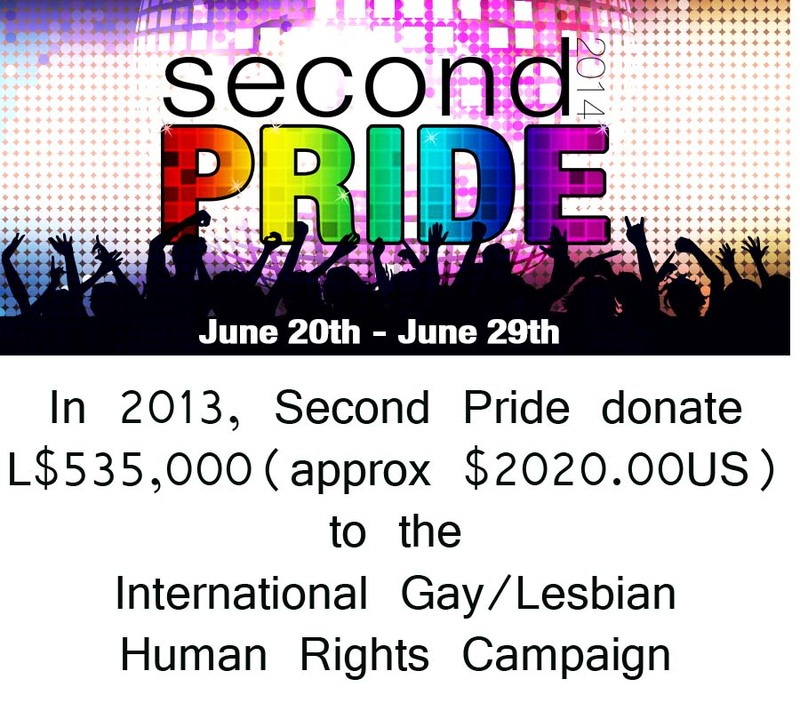 I would like on behalf of the board of the Second Pride Festival, welcome you to Second Pride 2014. It has been a long and exciting year building up to this point and on behalf of the board I would like to thank everyone for their support. I would appreciate your indulgence for a moment as I want to talk briefly about community and what it means to me. I have said in the past and I continue to believe that we as members of the LGBTQ community and our allies and supporters need to respect one another and work towards goals that benefit the greater good. Within any large and diverse community as this one that we were elected to represent there will never be 100% support for everything. We as a board have worked very hard to make the adventure leading up to the Festival as enjoyable as we could for as many people. 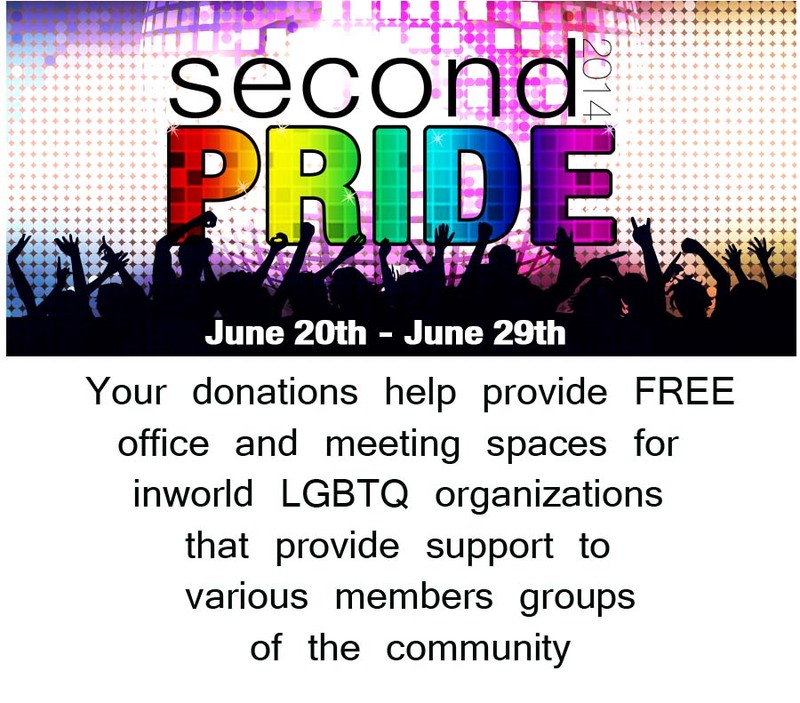 Our community within SL and outside is a strong and vibrant group that is moving forward to benefit the greater good. We as a group can learn from each other. Pride isn’t about one group of people or one club, or even one lifestyle within the group. Its about all of us. Please – Enjoy the festival and the community that we represent, those that are here and those who are not.